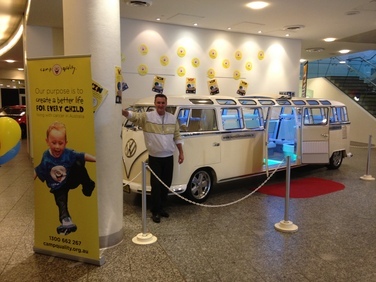 Thank You to everyone who came to see Kombi Limousines and support Camp Quality last weekend at MotorEx. The lucky wiiner of the prize of a 4 hour Sydney City and Beaches Cruise was MELISSA from Woollongong! You helped to raise over $3000 for Camp Quality!! WOW!! We look forward to seeing you all there again next year!